If you have an interest in the accounting and finance field, you’ve likely wondered about the difference controller and comptroller. Since the two words are so similar, they’re often thought to be the same or to be used interchangeably. However, there are slight variations in these two finance positions. The main difference between these positions is the work setting of each. If you aspire to a career in upper level financial management, you’ll want to know what each of these positions entails. Let’s take a closer look. A controller is the person who handles the financial accounts within an organization. These professionals are usually employed in private organizations. They oversee and manage the financial affairs, specifically ensuring accuracy of financial reporting, interpreting data and providing an explanation of findings to the executives of the company. In addition, controllers are charged with the responsibility of ensuring compliance with all federal, state and local laws regarding financial and monetary matters. They make sure the business is maintaining profitability in accordance with the law. Essentially, as a controller, you would hold the top financial position within a business. Although comptrollers perform similar duties as comptrollers, there is a difference between controller and a comptroller. Comptrollers are likely ranked higher on the corporate hierarchy within their organizations, thus holding additional responsibilities also. As a comptroller, you would most likely work for a government organization. This would be at the state or local level. Since your agency has a responsibility to taxpayers, your concerns would differ from that of your non-governmental counterpart, the controller. A comptroller is tasked with making sure that expenditures are within budget, rather than only looking at the final costs. Comptrollers review the work of the lower-level accountants to ensure all standards are met. They also oversee budgets across the organization to compare the actual figures with projections, making adjustments where necessary. Let’s break down the comparison between these two positions. Controllers work within private or nonprofit organizations, while comptrollers are employed within the governmental sector. Both perform similar duties except that a comptroller holds some additional responsibilities, as well as a bit more prestigious position within an agency. Controllers look at financial facts and figures after production or completion of services rendered; their main concern is the final bottom line. Comptrollers are different. They need to stay abreast of budgeting and staying within projected figures throughout every stage of business in order to keep constituents happy, according to Proformative. Deciding which of these is most appealing is a very individual choice. 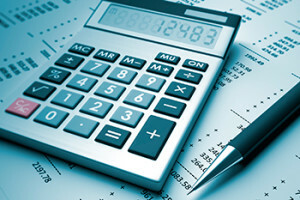 Both require a strong understanding of business and accounting principles. Both carry much responsibility and accountability. It is likely more difficult to gain entry into the public sector as a comptroller, as these positions often must be voted on and approved. There are also fewer of these positions nationwide.It may be best to establish yourself in the private market as a controller in order to gain credentials toward a government position later. The difference between controller and comptroller may seem small, but there are a number of considerations when pursuing these careers.